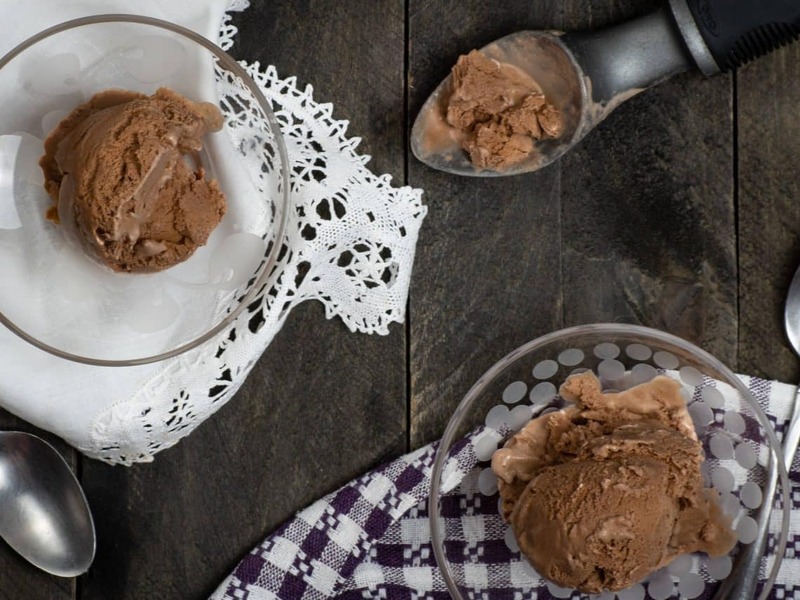 Keto chocolate ice cream. Seriously? Need we say more!? We surely hope not since chocolate is obviously the best thing on earth! Chocolate ice cream… Do I really need to say more? It’s one the three most popular ice cream flavors. In fact, you can tons of find flavor variations all over the world. In fact, chocolate is the most widely craved food in the world. The good news is, becoming “addicted” to it isn’t actually a real thing. Regardless, we can’t help but want something chocolate all the time. I think we can all agree, anything chocolate automatically tops our “yes please” list. 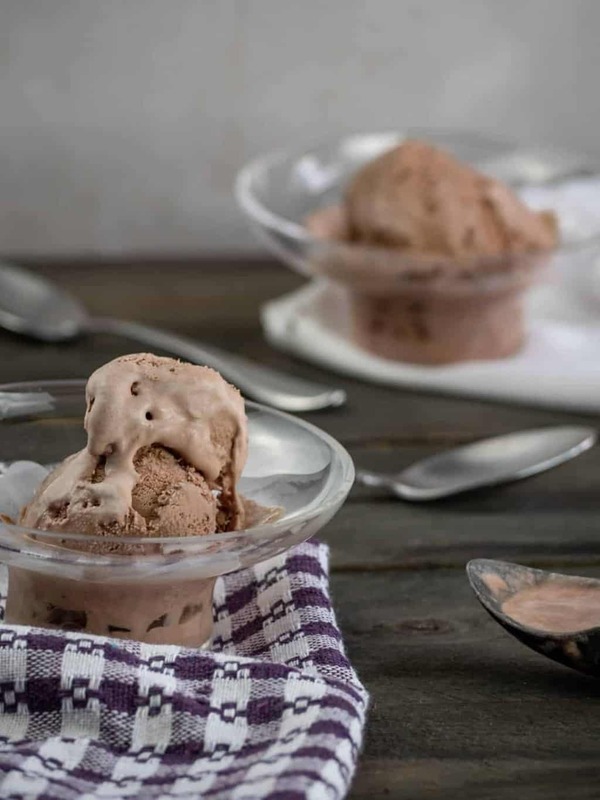 Keto chocolate ice cream is a super easy way to get your chocolate fix without a ton of preparation and work. 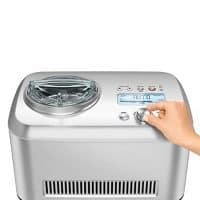 Grab your ice cream maker and let’s get to work! Because we are using cocoa powder, it is very important that you “dissolve” that powder in warm water before beginning. 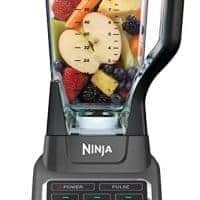 If you try to just add it to the mixture without doing this first, you run the risk of the powder clumping or not being equally dissolved. Either problem will lead to a very unhappy eater when the ice cream maker finishes. Unhappy eaters are certainly NOT what we aim for here at Better Than Bread Keto! The nice thing about making your own ice cream is the texture. 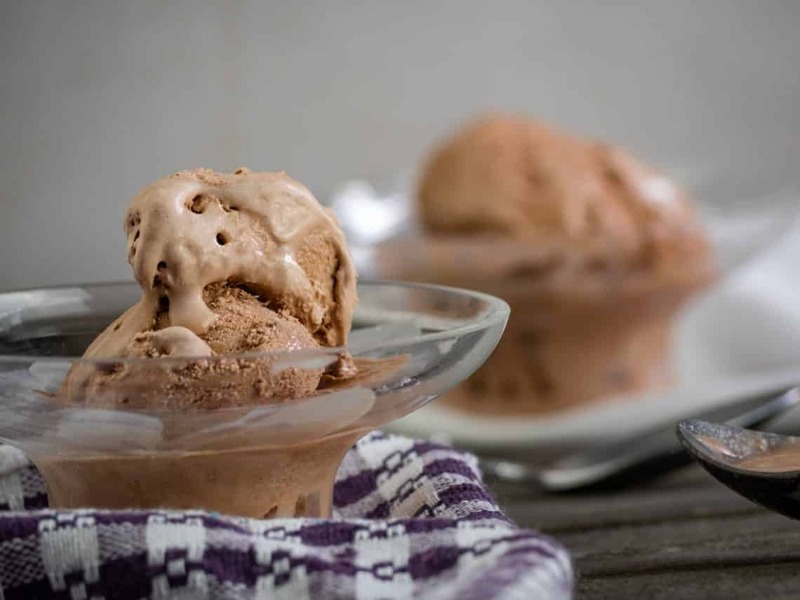 My wife mentions often how the texture and consistency of homemade ice cream is so much better than anything you can buy in an ice cream parlor or grocery store. I think I have to agree because it is incredibly light and airy, instead of more hard packed. You definitely can’t go wrong with ice cream. Add to that the awesomeness of chocolate and you REALLY can’t go wrong. Make it. Eat it. Love it. Wash. Rinse. Repeat. I used an immersion blender because I don’t have an ice cream maker, worked great! So glad it worked out for you! Keto on! I found the nutrition information right after I sent a comment, of course lol. Thank you for the delicious recipe. So glad you liked the recipe! The powdered Lakanto is definitely a great choice! I apologize about the nutrition. I keep having issues with my recipe plugin, which shows the different parts of the recipe. I “cleared the pages brain” so to speak and it should look different than it did before. The nutritional info should now show up. Sorry again! 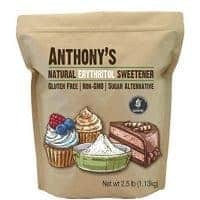 Have you tried another natural sweetner besides erythritol, like stevia or monk fruit? We have tried monk fruit in an ice cream, but only the granulated form. It works but is kinda gritty. We haven’t tried powdering it, however, since the erythritol gives us the sweetness we like. Can you post the nutritional information and serving size? Thank you so much…this looks amazing!! We updated the nutrition info on the page. Should be visible to you now. Hope this helps!